the grapes for our Brunello Riserva. vineyard varies from 240 to 360 metres above sea level. by a minimum of 8 month period of bottle ageing. potential for further cellar ageing. This beautiful wine from the southeastern hills of Castelnuovo dell’Abate takes the ’99 vintage in a lighter direction than most of its siblings, building spice out of its tannin and pungent red fruit. The flavors are classical, with a red raspberry rasp and an earthen grip that spreads the tannic spice through a long finish. The lightness makes it accessible now, while the dynamic red fruit and rose scents argue for drinking it ten years from the vintage. 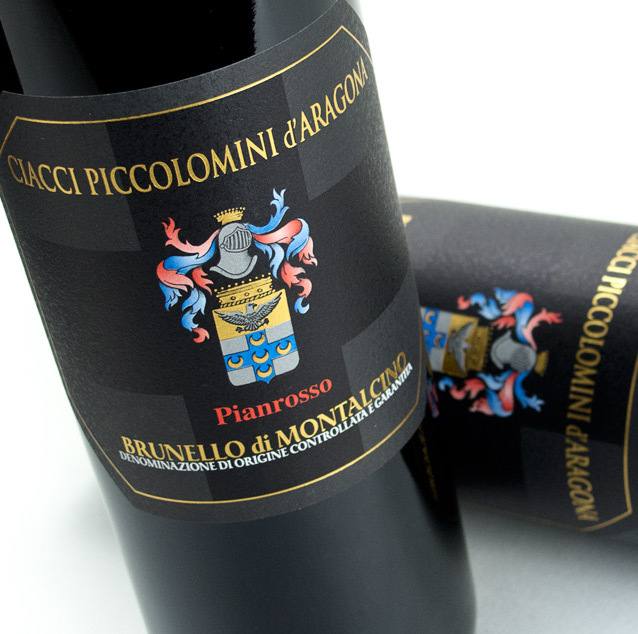 Though dense and rich, this red is also sleekly proportioned and harmonious. The cherry, raspberry, licorice, earth and tobacco flavors meld with the solid structure. Offers fine length and complexity that increases with aeration. Best from 2014 through 2025. 3,750 cases made.—B.S.